Not only do we offer maintenance, service, and installation services for all your heating and cooling needs, we also supply homeowners and companies all over the world with new and replacement parts for their HVAC systems. Shop online or give us a call to purchase your OEM part! Our inventory at TechnicalHotandColdParts.com includes parts for any make or model furnace, A/C, chiller, boiler, and more. We even stock brands not typically available by other companies. Same-day shipping and one-year factory warranty on most items! Don’t see what you’re looking for give us a call and we’ll find it for you! Chiller down? THC is your authorized service dealer for BKW, Lahntechnik, Rittal, and more. We specialize in servicing and repairing industrial chillers on-site or in-house. Our extensive knowledge and experience servicing chillers allows us to help you reduce downtime. Not to mention, our specialty in this niche field allows us to serve our clients worldwide, beyond just North America. Additionally, we are proud to be Schimpke’s only North American partner, delivering trusted and quality chiller service. When it comes your industrial HVAC system, we realize that generic parts and equipment may not work for your needs. 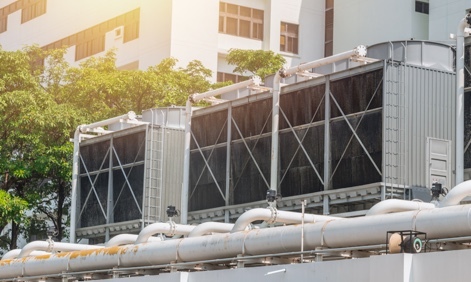 Between our long history and technical expertise, our custom HVAC design-build solutions have delivered proven results throughout a variety of industries. Further, we pride ourselves on providing timely, quality service that ensures you don’t have to worry about downtime. Whether you need a replacement part, repair, or custom solution, we’re here to bring you cost-effective heating and cooling solutions beyond the standard services you’re used to.